SG v. HG: Dissolution of marriage involving assets/debts, child custody, child support and alimony. Client: respondent/husband. Outcome: settled by agreement of the parties. CH v. CH: Dissolution of marriage involving assets/debts, child custody, child support and alimony. Client: respondent/husband. Outcome: dissolution granted at Final Hearing; court awarded no "back" child support or alimony to petitioner/wife. JR v. KR: Petition for annullment. Client: petitioner/husband. Outcome: annullment granted. ML v. SH: Petition to modify custody/visitation. Client: petitioner/father. Outcome: settled by agreement of parties. State v. SN: Retail theft. Outcome: motion to dismiss granted. State v. DMJ: DUI + traffic citations. 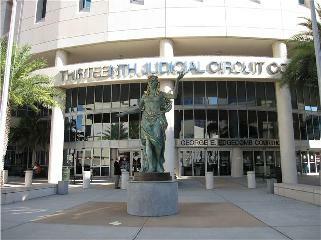 Outcome: plea agreement to lesser charge(s) or charges dropped (nolle prosequi). SG v HG: Petition for domestic violence. Client: HG. Outcome: dismissed at hearing. State v. CH: DUI. Outcome: plea agreement to reduced charge. TH, juvenile: felony + misdemeanor charges. Outcome: plea agreement to diversion program. JF, juvenile: multiple charges. Outcome: dismissed by State before charges filed. State v CH: possession of controlled substances + paraphernalia. Outcome: plea agreement with charges reduced to misdemeanors. State v JH: Aggravated battery, 2nd degree felony. Outcome: not guilty at jury trial. JAF, juvenile: felony + misdemeanor. Outcome: not guilty at adjudicatory hearing. State v. JMF: burglary + criminal mischief. Outcome: nolle pros entered by State before jury trial. State v. RVS: possession of controlled substance. Outcome: motion to suppress granted, plea agreement. SN v. AAP: malicious prosecution/false arrest/negligence. Client: plaintiff. Outcome: settled by agreement of parties. RH v. FHSC: premises liability. Client: defendant. Outcome: settled by agreement of parties. AEI v. GT: commercial, contract dispute. Client: plaintiff. Outcome: verdict for Plaintiff at bench trial. JD v. RS/AJS: commercial lease. Client: plaintiff. Outcome: verdict for Plaintiff after bench trial July 2007; order entered. SN v. PI: automobile accident/negligence. Client: proposed plaintiff. Outcome: settled by agreement. VSWC v. HAII: commercial lease. Client: plaintiff. Outcome: settled by agreement/recovery of funds. ES v. T: property loss. Client: proposed defendant. Outcome: settled in "pre-suit". DKT v BC/CC: commercial litigation/contract. Clients: BC and CC. Outcome: clients dismissed from suit by stipulation. BC v. JL: real estate dispute/separation. Client: BC. Outcome: settled by agreement in "pre-suit". CW v. BLC: employment law. Client: proposed plaintiff. Outcome: settled by agreement in "pre-suit". SH v. FHS: premises liability/medical malpractice. Client: defendant. Outcome: settled by agreement. ER v. MP/GC: employment/whistleblower/battery. Client: defendant. Outcome: stipulation for dismissal with prejudice. BB v. JH: civil battery/negligence. Client: defendant. Outcome: stipulation for dismissal with prejudice. MG v. CG: landlord/tenant, commercial lease. Client: MG. Outcome: settled pre-suit. CI v. M&RR: garnishment. Client: M&RR. Outcome: settled with agreed order to reduced garnishment. EM v. WHH: medical malpractice. Client: EM. Outcome: pre-suit settlement.